Poker Kaki Forum • View topic - Team Poker Malaysia presents LWPS Freeroll with 4 ME seats! 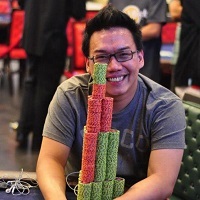 Team Poker Malaysia presents LWPS Freeroll with 4 ME seats! Team Poker Malaysia is feeling generous this month! We have toiled hard to get this going and is pleased to finally announce that TPM is organizing a depositor's FREEROLL to be played online awarding 4 seats to the $25,000 GTD Leisure World Poker Series Main Event, of which Im sure all kakis know will take place on Dec 14th aboard the cruise ship MV Leisure World. There'll be plenty of fun, games and beer on board, and because the good guys at LWPS decided to slap a guarantee for this event, we feel that we have to do our part in promoting poker regionally. This freeroll is open to new and existing players who deposits between Dec 4th till Dec 12th. The freeroll will play out on SuitedAce on December 12th at 2215 CCT. BONUS: For first time depositors only, if you deposit before the 6th, you will be eligible to play in a $500 FD Freeroll on Dec 8th, if you deposit on or after the 6th, you can choose to play in their special $1,500 Christmas Freeroll! For more information on the 4 seats guaranteed LWPS Freeroll head click here. Tomorrow is the big day! Wish all kakis good luck! Just a reminder that everyone who played the LWPS Freeroll on SuitedAce can play their Christmas Depositors Freeroll tonight at 9pm. 2 iPads + $500 cash. Team Poker Malaysia is really giving away money! Lai lai lai!